Social networking has changed the way people connect with each other at a personal level, but it's also changed how people obtain information about products, services and the businesses that offer them. That's why using social media marketing strategies should be an important aspect of just about every marketing plan. No matter what industry you are in or what size your company is, chances are that your organization can benefit from leveraging the power of social media. LoveToKnow Social Networking is a go-to resource for everything you need to know about leveraging social media as part of your marketing plan. From helping you decide what social media sites make the most sense for your company to utilize to providing information about how to use them effectively, you'll be able to find practical information you can use - and understand. Marketing via social media sites: Learn how you can use popular social media sites like Pinterest, Facebook, Twitter and FourSquare to grow your business. 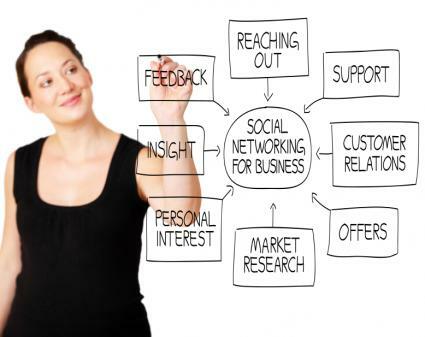 Marketing planning with social media: Develop the ability to create a social media marketing plan and content plan. Professional networking via social media: Find out how to establish and build a professional profile for effective online networking via LinkedIn. Blogging for business: Discover how you can effectively incorporate blogging into your company's marketing strategies. The world of social media marketing is a moving target. Things change in the world of social networking very quickly, in terms of technological advances, new sites exploding in popularity and changes in consumer usage habits. LoveToKnow's expert editorial team is focused on keeping up with developments to share with readers. Visit the site any time you want to learn more about what's going on in the world of social media marketing and find out how to better utilize this communication tool to promote your own company.